STEM your Halloween! When the kids are completely wound up during the week before Halloween, it is the perfect time to add some holiday STEM activities to keep them focused. With pumpkins, bats, goblins, and spiders to provide motivational themes to the activities, teachers can explore and review concepts ranging from math data analysis or simple machines to investigation of gravity, force and motion. 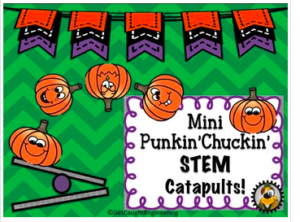 Where you are having a Harvest or Halloween party, why not use STEM for your activities? No party? Then add some seasonal zest to your math and science lessons. We have had a tradition for years of doing Pumpkin Math with our classes. Students are put into groups of three to four and given a tray with a medium-sized pumpkin with a precut lid. 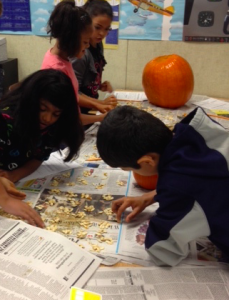 With their desks covered with several layers of newspaper to contain the “Pumpkin Innards Goop”, students estimate the weight, circumference and number of seeds. After estimates are recorded, students weigh their pumpkin and measure the circumference. Next the students scoop out the “goop”, put seeds in groups of ten and count the seeds. Each group’s data for weight, circumference, and seed numbers is added to a chart so they can compute the mean, mode, range and median for the pumpkin statistics in our class. Your kids will have a blast with this kind of data analysis (and your room will smell delicious). Halloween is the perfect time to make some slime in your class. Measurement, following directions and exploration of the properties of matter can all be included with this hands-on activity. We let each student make their own and used plastic cups instead of bowls. Two 16 oz. cups per student. In one cup mix 1/2 cup (4 oz.) of glue and 1/2 cup of water. Add food coloring if you want colored slime. The slime will begin to form as you stir. Store it in a plastic bag in the fridge, to keep it from growing mold. When finished, this should be disposed of in the garbage and not in the sink. Want some more slime recipes? 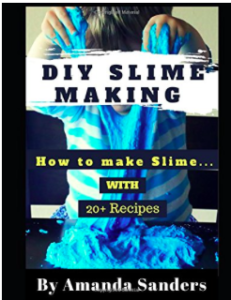 We found a great book filled with 20 slime recipes. Bubble, Bubble, Toil, and…Really Cool Trouble! 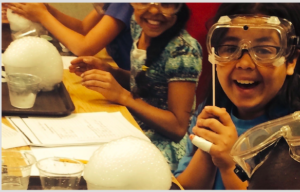 Your class will feel like wizards concocting potions when you introduce dry ice to them. This is our favorite activity for this time of year. The “oohs” and “aahs” will have other teachers peeking in your room to see what is going on! Dry ice experiments are a fun addition to a 4th, 5th or 6th grade classroom. By adding cold water, soap and finally hot water, students will be delighted with their results. It is a fantastic way to teach about variables and writing observations. Safety issues and rules are essential parts of the lessons as dry ice can burn the skin. We have always used a wonderful resource book from The Lawrence Hall of Science for our activities. 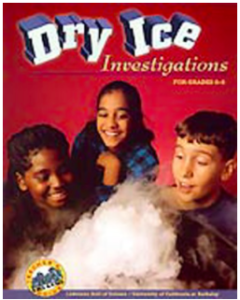 GEM Dry Ice Investigations has detailed lessons and information on using dry ice in a classroom. Although years ago it was a challenge to find a retail store that carried dry ice, today we are able to find it at many grocery stores. It is popular at Halloween parties so locating several sources, in case one store has run out, is a good idea. It is expensive and does not last very long, so arrangements need to be in place for equipment such as coolers, as well as pick up and transportation. Although we do not allow students to touch the dry ice, the adults should have heavy gloves and a hammer to use for chipping small pieces for students to use. Safety goggles are always worn by students and teachers. This is definitely an activity that needs careful preplanning but is well worth i ncluding for a an amazing experience. We have several Halloween activities that are engineering challenges. Materials are easy to find and each takes students through the engineering design process. These are terrific brain push-ups for the Halloween season and will keep your kiddos focused. 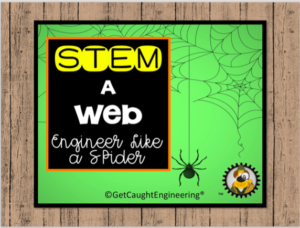 Can your students engineer like a spider? With yarn, a coat hanger and tape, challenge your class to create a weight-bearing web. Autumn means Pumpkin Chucking Time – an awesome STEM activity! No pumpkin chucking catapults near your location? No problem…hold your own mini contest with this fun activity that reinforces knowledge of simple machines. Bobbing for Apples with STEM! Let’s go batty with STEM! With a simple zip line made with fishing line and easy to gather materials, you will have to review of force and motion ready to go. 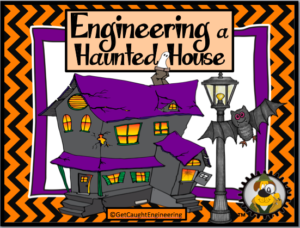 Combine fantasy and electrical lessons by having your students design a haunted house with lights. A Bundle of Halloween Engineering! 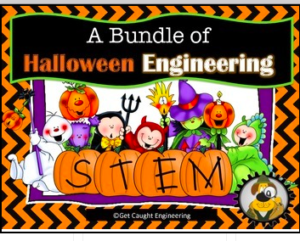 Engineer Halloween with STEM with our discounted bundle of four engineering lessons that integrate simple machines, electrical circuits, and physical science with a Halloween theme. As the Halloween wiggles hit your classroom, don’t fret! Just gather up all that energy and enthusiasm and apply it to some STEM lessons! We hope you “Get Caught Engineering” this month!